One of the reasons why computers have become so popular is because they enable us to carry out a wide variety of tasks, at home, at school or in the office. A wide range of components can be attached to computers, thus enabling us to do even more with these amazing machines. One of the most common computer peripheral devices is the printer. These devices enable us to print pictures and text onto paper. In fact, printers are almost as popular as computers themselves and have, over the years, become an indispensable part of the computing experience. Every piece of hardware that is attached to a computer comes with its own drivers; computer programs that have been designed specifically for facilitating communication between a computer’s Operation System and its hardware components. 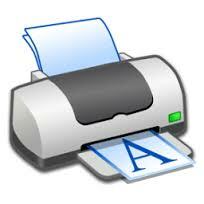 Without drivers, devices such as Printers would not be able to function. Drivers are important, which is why they should always be kept up to date. Failure to update the drivers that are on your computer can lead to the occurrence of errors on printers and other hardware components. We recommend that you use SafeBytes DriverAssist to keep all the drivers that are on your computer updated. The greatest thing about DriverAssist is that it is lightweight, and works in the background to keep your computer running like new. It does this by constantly checking to see if there are newer versions of the drivers that are on your PC. If it finds one, it is then downloaded to your computer, and the driver that is there is updated to the newest version. DriverAssist saves you the trouble of having to manually look up the drivers that you need to keep your computer running. As mentioned earlier, printers are a ubiquitous part of computing. Unfortunately, they can be very prone to driver errors. How then, do you fix printer driver errors? The easiest way of recovering from a driver error is by uninstalling and reinstalling the faulty driver. You can do so in Device Manager, where faulty drivers have a yellow icon attached at the beginning. Right click on the driver and click on “Uninstall” to remove it from your computer. Printers usually come with CD on which the drivers and other software can be found. Simply reinstall the printer software, and you should be good to go. If you cannot find the CDs that came with your Printer, you can always look for your Printer’s drivers online. These can usually be found on the manufacturer’s website. Download and reinstall them to your computer to get rid of driver errors. Having your computer’s drivers fail on you can be frustrating. Fortunately, you can prevent that from ever happening using DriverAssist from SafeBytes. This wonderful device driver manager works hard to automatically keep all your drivers up to date.